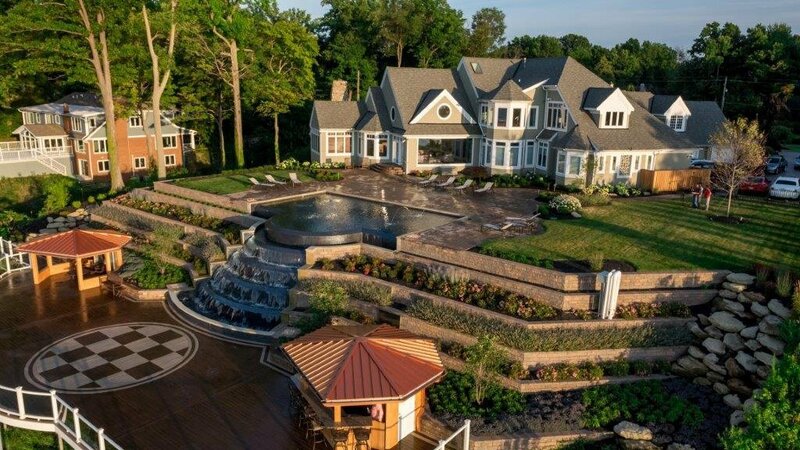 The Saybrook Gold Juniper is a perfect color addition to most landscapes. Yellow is a color that draws attention. 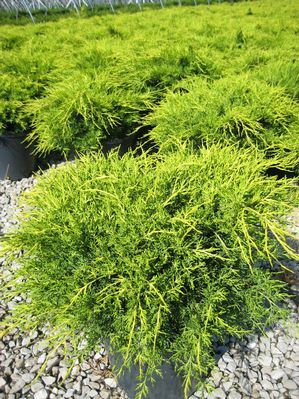 This compact juniper spreads two to three feet with bright yellow gold needle like foliage that turns to a bronze-yellow in the winter months. 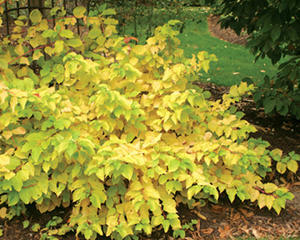 The variegated Red Twig Dogwood is the hot shrub to plant with the Saybrook Gold Juniper. The stems of the ‘Cardinal’ and the ‘Redosier’ look fantastic together especially in the snow! The Dogwood has a variety that shows off a yellow twig during the winter months. This variety can be teamed with dark green, red, blue, orange to make a statement. The stems of both varieties change color due to the lack of sun light during the winter months. Another colorful variety of plants is the Holly family. The Winterberry Holly is probably the most interesting. 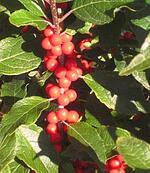 This Holly loses its leaves but has abundance of small round fruit that add brilliant color. There are many cultivars, including ‘Winter Red’, ‘Red Sprite’, and the orange –red ‘After Glow’. These branches can be cut and used indoors also. The Contorted Filbert also known as Harry Lauders walking stick is a favorite of many. This is another unusual plant that has amazing twisted branches that come into full view after the grape-like leaves drop off in the fall. The highly twisted stems again can be used for center pieces, flower arrangements and the larger branches have been turned into real walking sticks! Holly is the perfect plant for color! 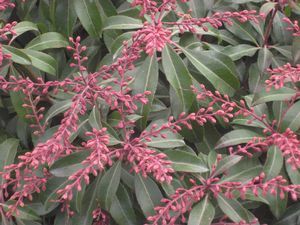 The Hybrid evergreens have dark green rich foliage and outstanding fruit colors. Most of the fruit colors are variations of red, ’Blue Princess’ has excellent hardiness and fantastic fruit production. China Meserveae Hybrids such as ‘China Girl’ and ‘China Boy’ are also outstanding, ‘Golden Girl’ with yellow-orange fruits for a different color in winter. The Japonica ‘Dorothy Wyckoff’ is a show stopper shrub. This beauty has a glossy green leaf and reddish leaves in new growth in the spring and the summer. The winter interest is reddish purple buds that open first as a soft pink then mature to a white flower. This specimen should be planted in moist soil, but well drained, acid, organic soil in sun and shade. The winter months are a super time to show case some unusual evergreens. The Siberlocke Korean Fir is a specialty fir that has captured needles with reveal intense silver coloration on the undersides. The Silberlocke also has an attractive upright cones. 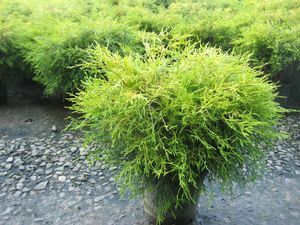 The Dragon’s-Eye Japanese Pine is a small to a medium tree with yellow bands on the needles during the growing season. This evergreen also has irregular horizontal branches. The Golden Mop False Cypress is another ‘winner’ for winter showing. The ‘Golden Mop’ is another yellow needle spreader that gets several feet in height and have unique drooping branches. Other popular cultivars include blue-green foliage types such as ‘Boulevard’ and ‘Curly Tops’. These grow in moist but well drained soil and keep their color all winter. Enjoy a colorful garden this winter and don’t forget the bulbs!